It’s customary for foreigners to set up a local corporation and buy a property through that vehicle, especially for income tax reasons and to protect their private possessions. For the property’s title transfer, the government charges you 2% tax on the property’s value as recorded in the deed of sale. In addition, you will have to pay fees for the public notary and the record in the National Registry. 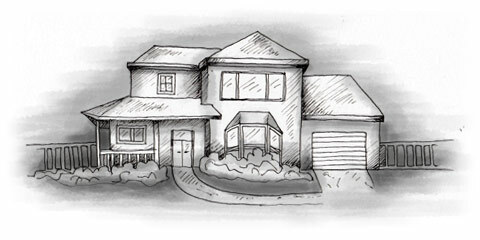 Normally, you shouldn’t pay the property’s transfer tax; but in some occasions, the seller may request that you pay it. This should be cleared during the negotiation. In some instances, when you buy property, in reality you buy the shares in the company that holds the ownership of that property. If you do so, you won’t have to pay the 2% title transfer tax, as you are simply buying shares of the corporation. In Panama, you have to pay property taxes when the value of your property (as recorded in the deed) is over US$30,000. The highest annual property tax rate is 2,1% for properties with a register value over US$75,000. You will find many banks (HSBC, Citibank, BBVA, Banco Nacional de Panama etc.) that provide real estate financing for foreigners. As in many countries, banks have some general requests before they agree to give you a loan; for instance the property must be titled in the National Register; the purchase price cannot exceed the estimated value of the property in the real state market, etc. If you are of a certain age with a fixed pension, you might have a special discount on mortgage rates. If it’s the first time that you have applied for a loan in Panama, and it's a new property, you might also receive an interest rate and tax discount. The cost of a professional appraisal company may vary, depending on the property’s square footage. You can expect to pay anywhere between $150 and $1000.